The psychiatric out-patient unit for adults needing intensive treatment is located in the new L-building (completed in June 2016) of the central hospital. The pressure to develop work and improve productivity is great in the social and health care sector. 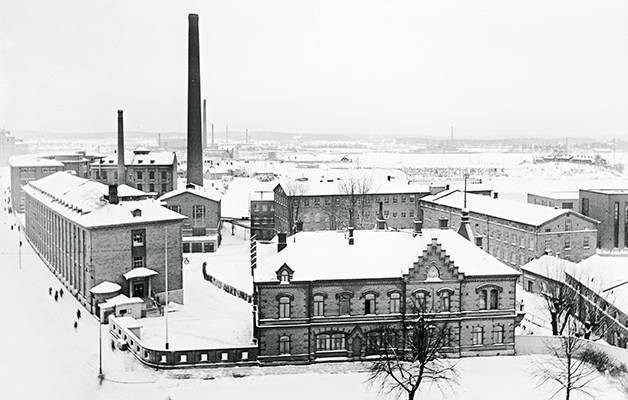 Openness and cooperation have proven to be successful recipes in the city of Joensuu. A new measurement tool developed at the University of Lapland demonstrates clearly the relationship between productivity and the well-being of the employees. All of us have two simultaneous jobs: our own work, and at the same time developing our work, says Kirsti Sainola-Rodriguez. – There are many ways of doing things better, more fluently and more productively in health care. The word productivity has a negative ring among health care professionals, as many people perceive it as merely a tightening of work pace. However, the question is one of improving ways of working, she adds. Sainola-Rodriguez is head nurse at the psychiatric out-patient ward for adults needing intensive treatment. Developing her own work has been an inherent part of her daily routine for the past two years. 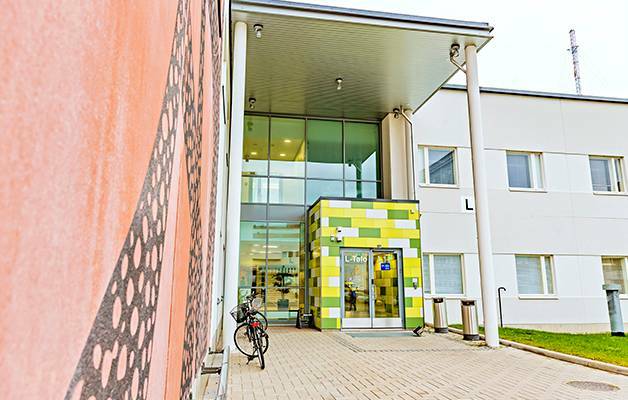 In spring 2014 the ward started operating as a unit of the North-Carelia Federation of municipalities for hospital and social services in Joensuu. The aim is to reduce the need for hospital beds, shorten hospital stays, and intensify the treatment of patients at home. The nursing staff consists of 32 persons, and in addition there are half a dozen other specialists at the unit, for instance a social worker. Developing one’s own work dates back a long time before the spring of 2014, says Sainola-Rodriguez. Whenever wards and units of the central hospital have been united or terminated, reorganization of the work has always been part of the change. – I strongly believe that to a great extent psychiatric patients can be treated at home. We have to trust the patients and believe that they can manage on their own. Home care is worth investing in, although in some cases hospital care is of course important, says Sainola-Rodriguez. 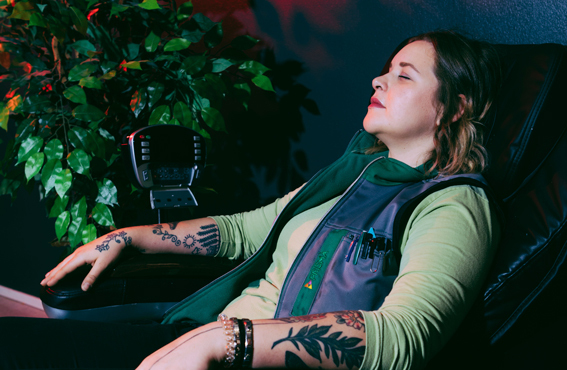 Outi Kastinen (left) and Kirsti Sainola-Rodriguez believe that continuous development of the work is an inherent and natural part of everyday work. Improving the productivity of a new unit is rewarding because it is possible to get a fresh start in a new organization. 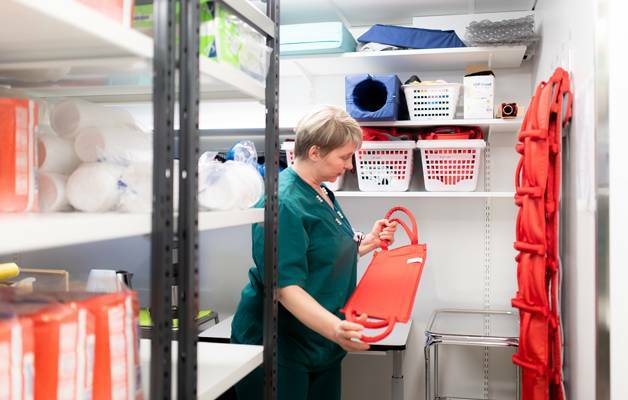 Sainola-Rodriguez and assistant head nurse Outi Kastinen feel that applying the Lean method from autumn 2015 onwards has boosted development work. Both women agree that a lot can be accomplished with rather small changes. The first step was to chart how long on average the patients remain in treatment. Earlier we just had a vague idea but no exact numbers. A simple measurement tool was developed at the unit for following up the lengths of the treatment times. We found the total treatment time to be 87 days, which is a rather long time. Our aim was to shorten this time, so we started to think of ways to do it. – Just starting the follow-up had a big impact on the work. The flow of patients and the treatment protocols became transparent and known to everybody. We drew a graph of the patient flow and its trend for everyone to see. This trend is now taken into account in the everyday work, Sainola-Rodriguez explains. Now the treatment times are 35–40 days, and the change is permanent. Even a treatment time of under 30 days was reached once. – Having shorter average treatment times means that we have less unfinished work. As a result, we have more resources to take care of more patients. In other words, the work is more productive, Sainola-Rodriguez concludes. – The time spent with individual patients has now been purposefully increased, she says. Other concrete improvements are for instance an up-dated patient list that shows how many patients each nurse has, and the use of e-calendars open to the staff members. We also started an e-calendar showing the reservation list of the cars used for home visits. Thanks to this calendar, the use of cars has become more efficient, and one less leasing car is now needed, bringing savings of 12,000 euros yearly. That is a small amount in the scale of the entire hospital, but small trickles grow into a big stream. 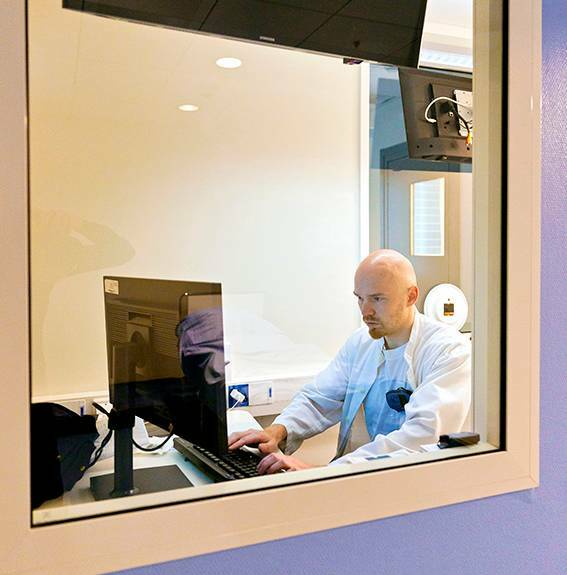 Nurse Jari Lukkarila works in the open-plan office of the psychiatric out-patient unit for adults needing intensive treatment. – One of the new approaches is to make sure that patients will not be treated for too long, just to make sure. The staff needs to have confidence in the patients’ own coping, says Kastinen. Patients are encouraged to participate more actively in developing the treatment protocols. In autumn 2016 training was offered for persons who themselves had earlier undergone psychiatric treatment. In future, these people will assess the services from the viewpoint of patients. We now have more meetings with patients, where representatives of several specialities are present. The idea is that when a physician, a psychologist, a social worker, a nurse as well as the patient’s close family member are present at the same time with the patient, the patient gets all the services at the same time. According to Sainola-Rodriguez and Kastinen, health care personnel have not been used to re-evaluating and analysing their own ways of acting. It requires courage from their part. Getting the staff to participate in the change plays a key role in developing work. The personnel of the unit have been active in the Lean way of working – responsibility has been delegated and shared. Both Sainola-Rodriguez and Kastinen describe their leadership style as being assertive mastering of the overall job content. – We have to continually remind ourselves of what the primary task of the unit is and try to carry it out as well as possible. It is important to keep this clearly in mind, Kastinen says. When matters are discussed openly, all the employees know what is expected of them and what to focus on. Another novelty is that the personnel of the unit of adult psychiatric intensive care work in an open-plan office. According to Sainola-Rodriguez and Kastinen, this is a unique practice in out-patient psychiatry. Helena Hanhinen believes that all changes contain two possibilities from the viewpoint of well-being at work: the change can be either positive or it can be a challenge. The improvement of well-being is reflected in productivity. The atmosphere in the unit of Sainola-Rodriguez and Kastinen is truly positive and interactive. The personnel appear to feel at ease at their workplace. And the distance from job satisfaction and well-being to productivity is short. They are two sides of the same coin. According to the statistics of the National Institute of Health and Welfare, the cost efficiency of basic health services as well as special medical care in the hospital district of North Carelia is high on the national scale. Helena Hanhinen is the well-being manager of medical and social services of the Federation of Municipalities of North Carelia. She believes there is a clear correlation between the employees’ well-being and productivity. – Productivity means that people do the right things and achieve the desired results. Fluent work processes create well-being at work, and workers who feel well are a prerequisite of productivity, says Hanhinen. – Here at the North Carelia Federation of Municipalities we have defined what well-being at work means for us. We feel good coming to work and we feel good when we leave work because we have achieved positive things. According to Hanhinen, all of the changes that take place at the workplace contain two possibilities from the viewpoint of well-being. The change can be either positive or it can be a challenge. If the change is carried through well, the well-being of the employees improves and productivity increases. And that usually is the purpose of a change. – Even when a change is well justified, it always arouses uncertainty in people’s minds. Rational as well as emotional aspects are involved in change, Hanhinen points out. In her opinion, a change that is meaningful and improves well-being and productivity must include three things. These are efficient communication, getting people committed, and various kinds of support for supervisors as well as employees. Hanhinen sees the role of supervisors to be very important, but they cannot carry out the change alone. – A change has been carried out completely only when the first practical work task at the workplace is done in a new way compared to the old way. 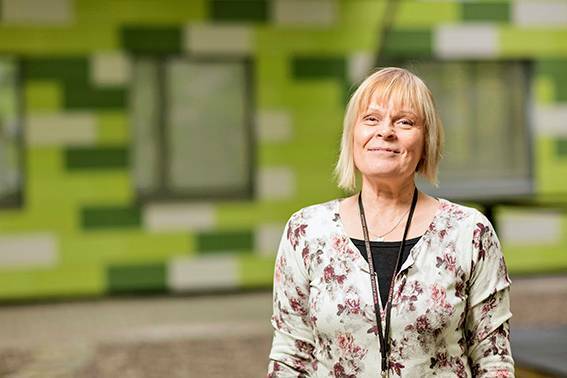 At the beginning of 2017, the launching of Siun sote (the new social and health service system) will bring changes also to the work of Pirjo Miettinen, nursing coordinator. 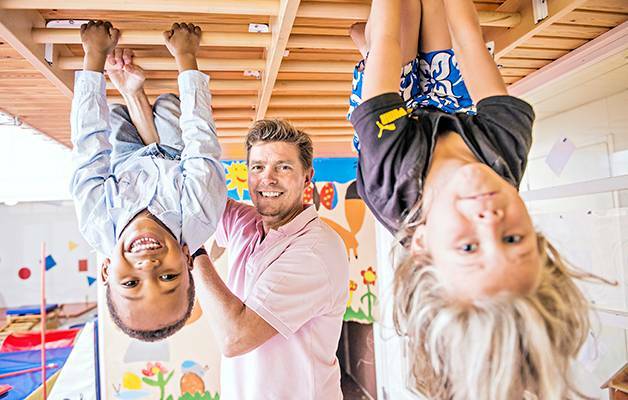 In the city of Joensuu, and soon all over Finland, the health care and social service sector (sote) will undergo a huge change, when the renovation of this social sector takes place. North Carelia took a head start already a couple of years ago, when preparations for Siun sote (the new social and health service system) were started. Siun sote combines the social and health services of all 14 municipalities as well as the central hospital of North Carelia into one organization. The change foretells the national renovation of the entire social and health service system. Development manager Anu Niemi believes that the long tradition of regional collaboration in development work has been a big advantage in the preparations for Siun sote. – The productivity of our hospital district is due to the goal-oriented long-lasting cooperation between different units that have transmitted vital information concerning the patient from one actor to another. We have had a regional data-based information system on patients and regional treatment protocols for a long time. Also the simple organizational structure around one hospital has been an advantage, Niemi says. – In the renovation process, the social services must be genuinely synchronized with the health services. Their integration is necessary for improving productivity. Uniting different work cultures and understanding and appreciating the expertise of others require a lot of effort at the grass-root level. Unprejudiced cooperation creates understanding and dismantles rigid thinking structures. – During the past couple of years, hundreds of social and health care professionals have received training in Lean thinking. We have also acquired Lean expertise into our own organization, instead of hiring consultants, says Niemi. – Thus far there have been no measurement tools that can comprehensively assess the impact of the employees’ well-being on productivity, says Marko Kesti. He is research director of the personnel productivity programme at the University of Lapland. 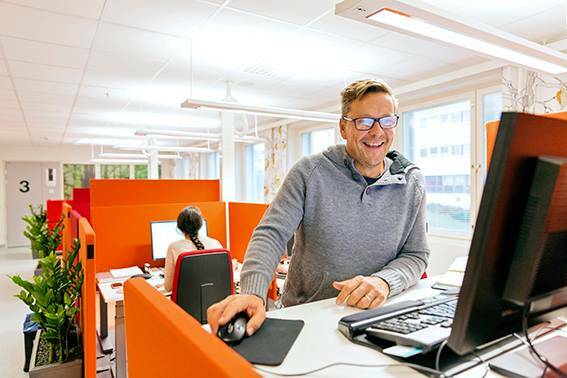 A new index has been developed at the University of Lapland which explains the correlation between the employees’ well-being at work and productivity. The index measures the work capacity of the personnel. According to Kesti, a measurement method that provides precise numerical data is a break-through in the assessment of the quality of work life. – In Finland, working hours are a meagre resource, because globally our working times are relatively short. 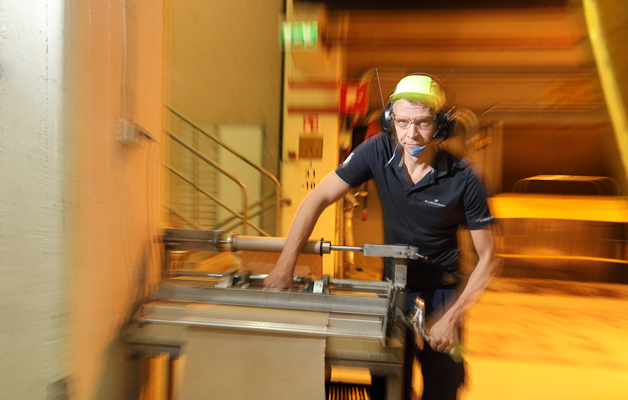 The quality of work life is a production factor which should be managed better, says Kesti. The personnel costs of enterprises and other organizations are very high in Finland. In Kesti’s opinion, the expertise of employees should be utilized much more efficiently. He believes that personnel productivity is possibly the central competitive factor. The quality of working is the key to productivity. That is why work must be continuously developed, and new technology must be exploited effectively. – Ill-being at work undermines work capacity, but merely avoiding ill-being does not lead to efficiency, and certainly not to superior competitive edge. In contrast, the employees’ work engagement and enthusiasm improves an organization’s efficiency, but only if the employees are not overloaded by work, says Kesti. According to Kesti, leadership is central in balancing work engagement and work overload. Supervisors play a key role in developing the quality of work life. The safe room is a place where the patient cannot harm him- or herself. The room is used in acute situations, and nurse Miikka Kosonen is there to oversee the situation. The new measurement method is based on the employees’ various self-assessment factors, and their combined effect equals work capacity. Work capacity is described by an index that shows the efficiency of the time spent at work. The index is a direct link between the work activity and the work output. Kesti says that an index that gives exact data is a valuable tool for following measures supporting the personnel and the effects of the change. – For example, the implementation of new technology at work always causes some confusion and fuzz, which is unavoidable when an organization renews its processes. The confusion is manifested as a temporary lowering of the quality of work life and work capacity, Kesti says. When the leadership is of high quality and the team spirit and professional identity of the personnel on a high level, the confusion is quickly overcome. The new action models improve well-being and productivity, which are the goals of renovations. – Development work should not be discontinued when an organization undergoes structural changes. Nowadays a common mistake is that development is postponed during structural change, although it should be the other way around. If development work, such as strengthening of the personnel’s professional identity and team spirit is discontinued, recovering from the confusion due to the change will take much too long, says Kesti. Let’s get back to the outpatient unit of intensive care in adult psychiatry. The unit has gone through many changes, and implementing Siun sote (the new social and health service system) will in future be another big change. It is also obvious that in Finland the future requirements imposed on the productivity of health care will not diminish. Nevertheless, Kirtsti Sainola-Rodriguez and Outi Kastinen are positively reassured. This is because they believe they understand the true nature of modern-day work life. – It’s important to understand that we don’t have separate development projects. That’s the idea in serious continuous development. – In the modern world you can’t just come to the workplace – work life demands more than that. You have to be ready to give it all of yourself and try to figure out how the work could be done better. The significance of recruiting increases. We have to find persons for this unit for whom the working methods of our work community are suitable, and who are willing to examine their own work input openly. – The principle of continuous improvement has to stem from the primary task. The policies, frameworks, and strategies are given from outside the organization, but developing the work is our responsibility, Kastinen summarizes. – The expertise needed for doing the job is in the work community, and that kind of expertise cannot be externalized. PKSSK is formed of 13 member municipalities of North-Carelia province and one municipality from South-Savo province. About 3000 people work in PKSSK. A questionnaire survey of the well-being of the employees has been conducted every other year. The same index has been used for the past 12 years, so the results are directly comparable. The results are used to improve the well-being of the employees in the Federation of Municipalities. At the beginning of 2017 the PKSSK will no longer be in operation. Siun sote (the new social and health service system) will unite the social and health services of all 14 North-Carelia’s municipalities as well as the central hospital into the same organization, which will provide services to 170,000 people. Over 6000 social and health care professionals from the municipalities will become employees of Siun sote. The index developed at the University of Lapland demonstrates that there is a lot of unutilized development potential in Finnish work life. 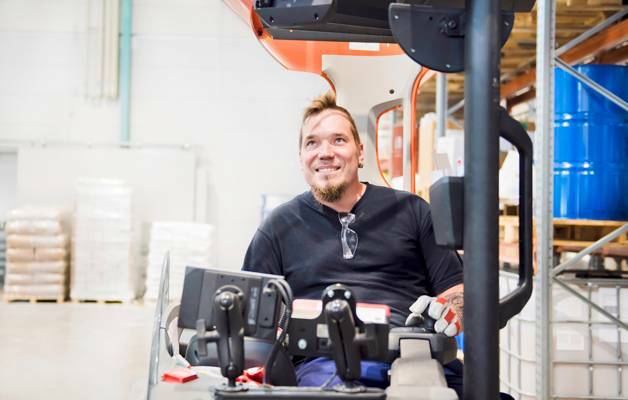 According to Marko Kesti, director of the research programme on personnel productivity, the current problem of low competitiveness in Finland can be solved by improving the quality of work life. – According to our study, the average quality of work life in Finnish workplaces was reported to be 59%. That is a rather low figure, and there is considerable potential for improving productivity in the national economy, says Kesti. – If the quality of work life were to rise to 64%, the gross margin of enterprises would be 2.8 billion euros higher, in other words, 3300 euros more profit per employee, he explains. 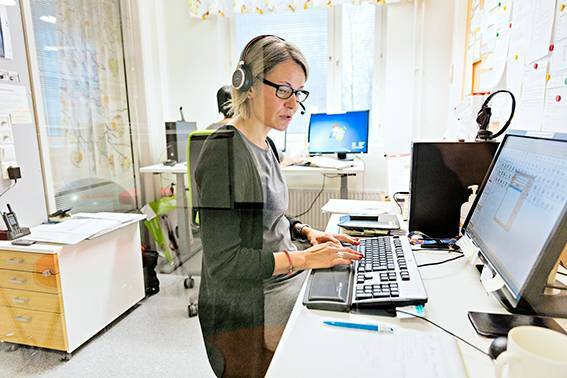 According to Kesti, the possibilities to improve the quality of work life are good in Finland, because education and professional know-how are on a high level. The change capacity of Finnish work life is also good, as demonstrated by the Finnish success in the past decades. The role of supervisors is decisive in improving the quality of work life, says Kesti. Supervisors must be provided with conditions in which high-quality leadership can be carried out. In practice this means for example that an adequate number of workers is designated for a particular task, and that also other personnel structures in the organization are optimal. – Supervisors must be made to understand that their actions truly do influence the economic output of the organization, says Kesti. – With this in mind, we have developed a learning game in which present and future supervisors can simulate problem-solving by trying out various supervisory practices. The game demonstrates how the quality of work life changes as a result of the selected solutions, and what kind of effects the choices have on productivity. 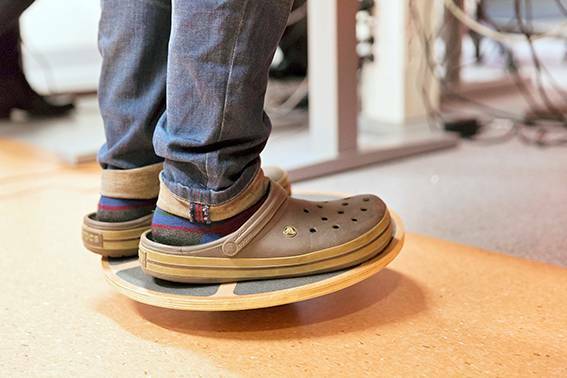 Researcher Elina Riivari from the University of Jyväskylä business school studied how ethical – good and right – practices are associated with an organization’s innovativeness. In her doctoral thesis she found that the opportunities for innovation are good in ethical organizations. Ethical practices promote innovative behaviour as well as the renovation of work processes. – The ethical actions of the management and supervisors, that is, actions in parallel with words, overall trustworthiness, honesty, and behaving in an exemplary manner, promoted the employees’ innovativeness, says Riivari. The innovativeness of an organization has a great impact on productivity. In Riivari’s opinion, we should bear in mind that innovativeness does not mean singular innovations that bring profit. – More than anything, innovativeness tells about an organization’s potential to carry out innovations and create new ideas, Riivari says. Managers and supervisors are often thought to be special persons with exceptional skills. Leadership is perceived as an individual characteristic of people in leadership positions. Managers and supervisors are seen as key actors of the work community who have a decisive role for instance in the organization’s productivity. In his doctoral thesis, Jouni Virtaharju from Aalto University challenges the traditional idea that everything is up to the leader’s personality. According to Virtaharju, good leadership is grounded on the work community and its ways of operating. – The members of an organization, an enterprise or a team give meaning to the concept of leadership. The meaning is given to a successful way of being organized. Leadership is much more than just a leader, says Virtaharju. According to Virtaharju, leadership and the organizational structures are strongly intertwined. It is difficult to see one without the other. – We thus come back to the question of productivity, in other words, just what is productivity in different organizations. 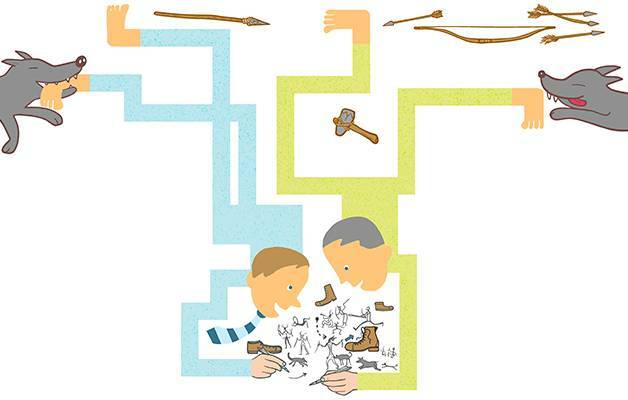 What is the primary task and the goal that everyone should strive to reach, and how? Leadership should not be a question of just power and resources. According to Virtaharju, the practices at the workplace have an impact on how leadership is formed. Leadership grows from the daily routines of the organization. If the employees see their supervisors as merely carrying out administrative tasks, and as persons who descend to the level of the employees as super heroes only when problems need to be solved, that is reflected in all activities of the work community. – Supervisors work on numerous operational arenas. They interact with their subordinates and their own supervisors, as well as other collaboration partners. Leadership assumes different forms on these different arenas, says Virtaharju. In Virtaharju’s view, developing the leadership capacity of supervisors should not focus only on skills or attitudes, but also on the many arenas where they have to operate. – I don’t deny the significance of the individual, but I do want to direct attention also to the context, circumstances and opportunities. We should finally let go of the hero myth surrounding leadership. For his doctoral thesis, Vitaharju led a research team which studied the on-going changes in leadership in four Finnish food-processing plants.